Rashid Khan took a brilliant one hander near the boundary. 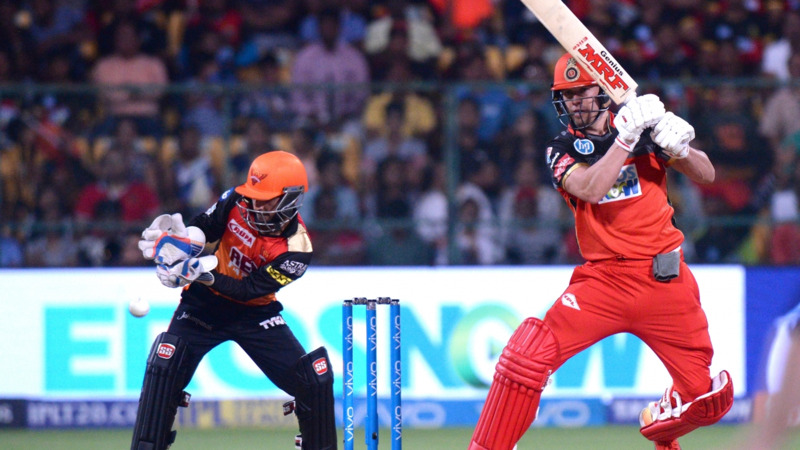 RCB are hosting SRH at the M Chinnaswamy stadium in what is a must win match for them. 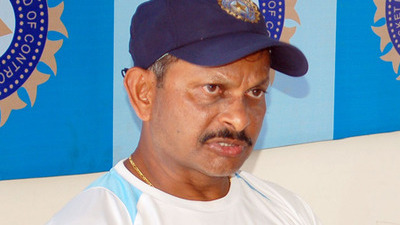 A loss here will close doors for the Bangalore based franchise. SRH won the toss and put RCB to bat first. Despite losing Parthiv (1) and Virat (12) for cheap, but AB de Villiers (69) and Moeen Ali (65) put them on the path of a big score. 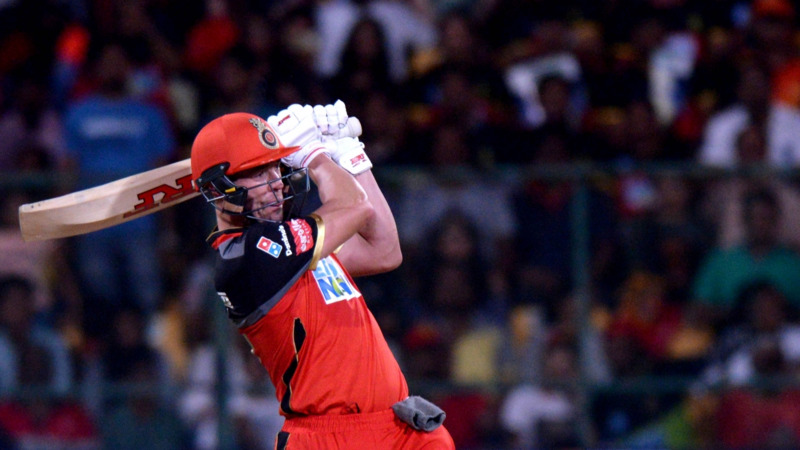 Colin de Grandhomme (40) and Sarfaraz Khan (22*) took RCB to 218/6 in 20 overs. Basil Thampi of SRH went for 70 runs in his 4 overs, to earn the worst bowling figures ever in IPL. Colin de Grandhomme was going great guns and he smacked a length delivery from Kaul towards cow corner. But Rashid Khan, who was stationed there, threw his hand out and grabbed the rocket like ball from mid-air to take perhaps the catch of the IPL, even rivaling the one that Trent Boult took on the boundary, of Virat Kohli.